We enjoyed time with our classes visiting Rocky Point Park, children were fascinated by jelly fish floating in the water, we also spot a crab swimming so fast in the water. 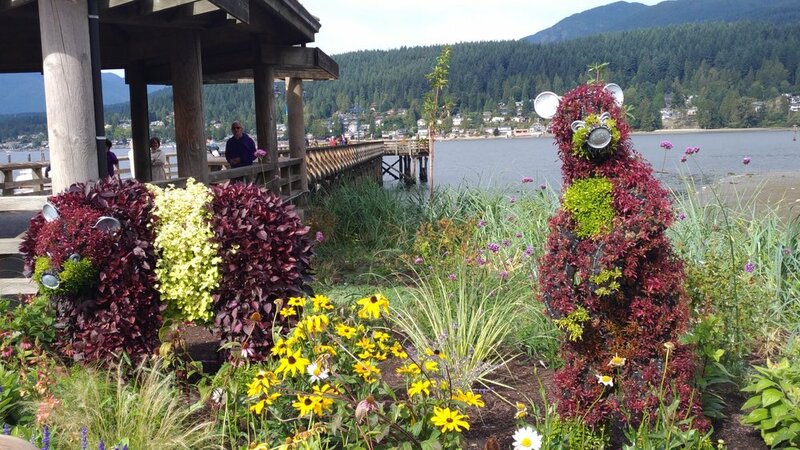 Children spot the bear shaped shrubs (topiary: cutting plants and shrubs in to shapes) camouflaged amongst the beautiful plants. We explore the pier where we also find homes made for the Purple Martian birds, perhaps we look forward to getting to know this bird along with other living organisms as we continue visiting the park throughout the year.